Stelios Kouloglou is a writer and has been an MEP since 2015 (GUE/NGL). He is the founder and former director of news site Tvxs.gr. Football has always had a political dimension. A 1969 war between Honduras and El Salvador was triggered by a match, while after an infamous 1942 final in occupied Kiev, between a German team and a team of excellent Soviets, the latter were arrested, tortured and some of them executed because they decided to win against the Germans, despite Nazi orders. Sometimes, football has also been a means of democratisation. By the dawn of the last century, football in Brazil was a white men’s privilege and people of colour had to paint their faces white in order to play. Racism in Brazilian football was confronted in the 1950s when virtuoso players like Garrincha and Pele took to the field. In fact, Pele is considered to have helped tackle the racist prejudices in Brazilian society in general. Nowadays, though, this democratic aspect of sports is endangered. Let’s take for instance the Champions League. Only clubs from the five richest countries (Spain, Italy, France, Germany and Great Britain) can now reach the semi-finals or the finals, due to the immense amounts that they are able to spend on buying the best players. 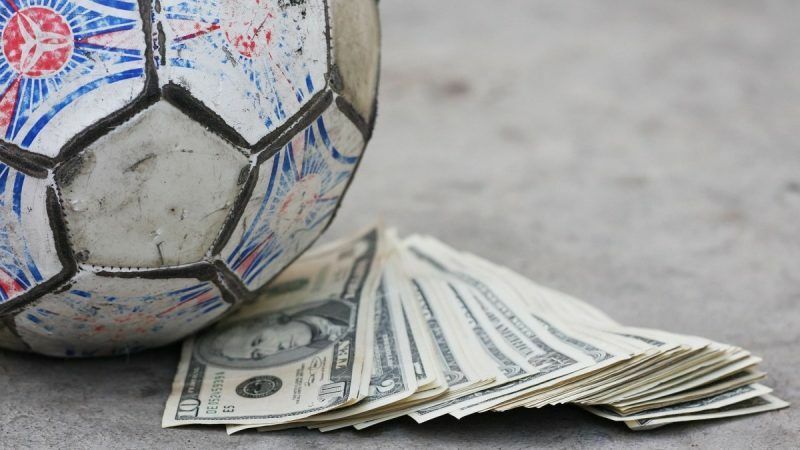 Nowadays, where an economic oligarchy controls everything from politics to sports, huge amounts of money are invested in clubs but nobody asks where the money comes from. It might be that investing in clubs is a way of laundering money that comes from illegal activities, like drug trafficking, arm sales or tax fraud and evasion. Clubs and players are also using multiple tax evasion schemes. Clubs from the “Big 5” spent in three months $3.67 billion in transfers, but only 36.6% of them included a transfer fee. “Football leaks” also revealed that famous footballers, like Messi, have avoided paying taxes from their astronomical incomes. In the PANA Committee, the European Parliament’s Inquiry Committee for the Panama Papers revelations, representatives of FIFA and UEFA were invited to testify. I persistently asked them how they are going to tackle the tax avoidance schemes and if they are concerned about the complete lack of transparency. They gave no credible answers. Inequality and social injustice lead to anger, despair and violence, the one we saw in the English football fields, during Thatcher’s neoliberal era. In Greece and elsewhere oligarchs are trying to control football, in order to pursue political or economic purposes using an “army” of fans which they get for free when they buy a club. Against all odds, football still remains the most popular sport and for a reason. Iran can never challenge US supremacy in global affairs, nor can Tonga’s banana production compete with Germanys’ Mercedes. But their football teams can win against the North Americans or the Germans. Football, like religion, is always capable of promising miracles. At the European Youth Event (EYE) of 2018, which will take place in Strasbourg on 1-2 June, we will discuss corruption in sports very thoroughly and we will debate the subject directly with young people, who deserve to have a better and more promising future.